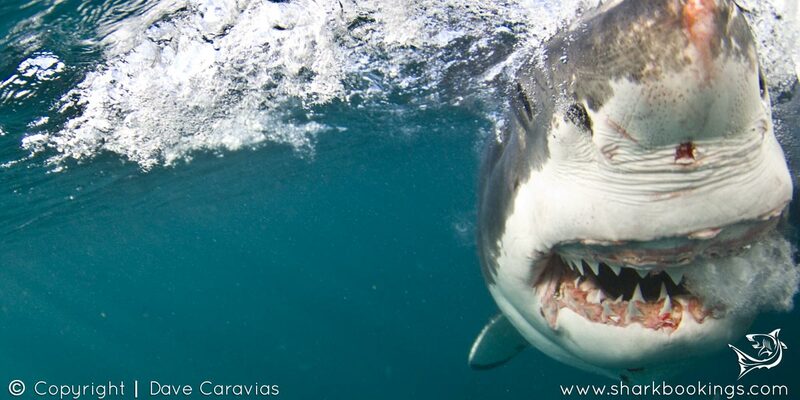 Mossel Bay on the Garden Route has probably the most accessible Great White Sharks in the world. The bay is very much protected in the winter months and the sea conditions are normally calm and comfortable. Seal Island in Mossel Bay is only 2km from the harbour and very close to the local beach. The ride to the island takes only 10 minutes so is ideal for people worried about sea sickness. In the summer months, the boat works with the sharks on the far side of the bay which is a 20-30 minute ride and most of the days the conditions are good. The summer winds do affect this dive site but normally not too badly and conditions are regularly good with only 5-6 days on average a year when trips cannot be run. 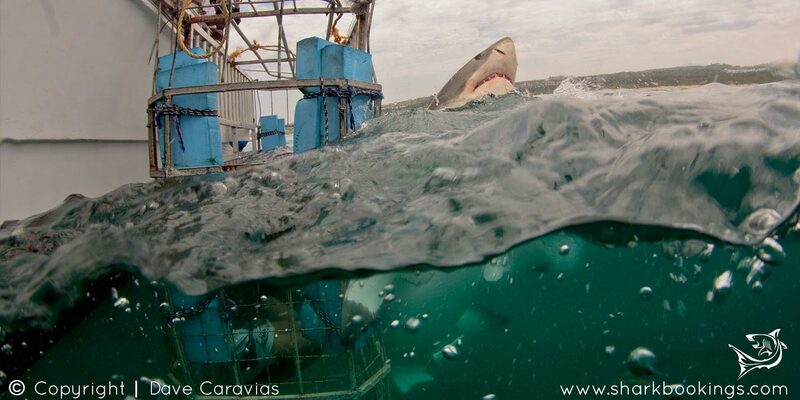 This dive is a good alternative to Gansbaai if you are travelling up the Garden route and do not have the time to do a shark dive in Gansbaai or the weather is not good for Gansbaai trips. Clients will meet at the shark diving crew house in Mossel Bay town centre. On arrival, you can enjoy a light breakfast and will receive a safety briefing about the boat and the trip to come. Following the briefing, you will take the short walk to the dock where you will board the boat. Depending on the season the trip to the Island or beach location will take from 10-20 minutes. Arriving at anchor site, you will receive another briefing concerning the do’s and dont’s of cage diving. The crew will immediately start to chum the water to attract the sharks which consist of natural marine products and fish which is natural to their diet. The chum creates a slick which drifts with the current and this shiny, oily trail is easy to spot from the boat. The crew will work with the wind and current to try to drift the chum slick in the direction of the reefs and areas known where the great white sharks normally swim. Once the chum and bait are in the water, then it is time to wait for the sharks to arrive which can take anything from 2 minutes up to 2+ hours. 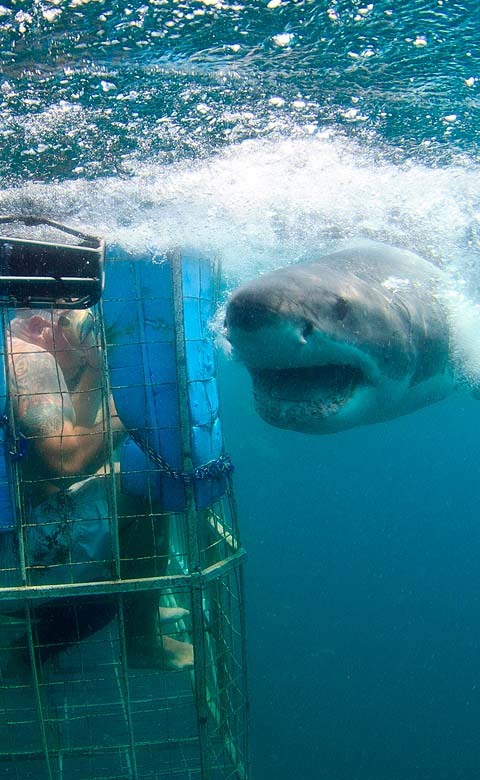 Once the sharks are around the boat and comfortable with the boat the cage will be dropped into the water and attached to the side of the boat. You do not need any experience in diving or to do the shark cage diving as this is a simple surface dive and non-technical. The first 6 divers will climb down into the cage for their close encounter to begin. 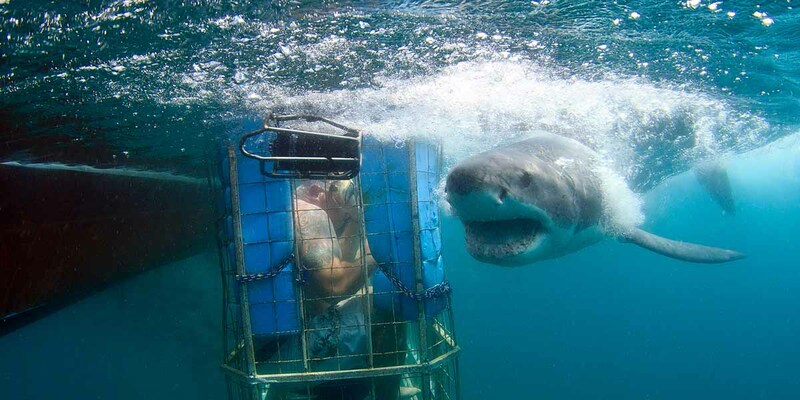 All divers are instructed where to position their hands and feet and what to do when the sharks are around the cage. Divers will rotate through the cage approximately every 20-30 minutes and once everyone has been through the cage then you can go back into the cage as much as you like for the duration of the trip. Following your trip, you will ride back to the harbour to watch the video of the day whilst enjoying afternoon tea and coffee at the crew house. You can decide to purchase a copy of the DVD for an additional cost of R350. Please note that this is just a rough guideline and that the times are confirmed each day before the dive. On busy days there will be 2 or possibly 3 trips depending on the time of year. Thank you for the most amazing experience today! The staff and crew was amazing and I can’t say enough good things about the whole experience. 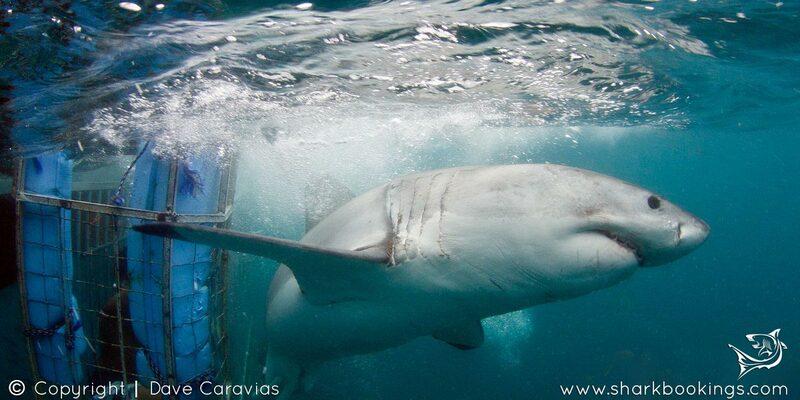 This was a stunning trip with warm clear water and 13 sharks! The weather was perfect and it was an amazing experience.